Trying to organise kids is often like herding cats, but teaching them organisation skills from a young age makes your effort not only worthwhile in the long run, but prepares them for a future where being organised can help in so many ways. Some children are natural organisers at heart and no teaching is necessary, but I find that leading by example and making fun tools available has helped reduce forgetfulness and feelings of panic, while building confidence and creating a general feeling of order, not to mention tidiness. And for those who know me, they know I LOVE TIDY! 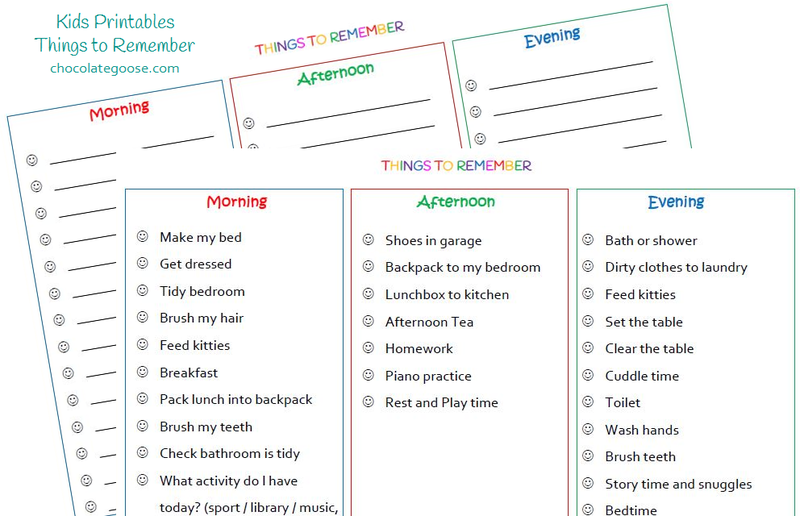 These are a few examples of lists I created for my little man and thought that you might find them useful too. This is an example. Your list might be longer or shorter. This one is a blank template. Or you might not want or need all three sections (Morning, Afternoon, Evening) as I have them so this one allows you to cut them up and use only what you want. Might seem a little OTT, but let’s be honest, children are not practical, logical thinkers. These are skills learned and developed as time goes by. Teaching ways to look after their belongings sets them up for success, not failure and saves disappointment and frustration. But we do need to remember that mistakes and accidents will still happen. 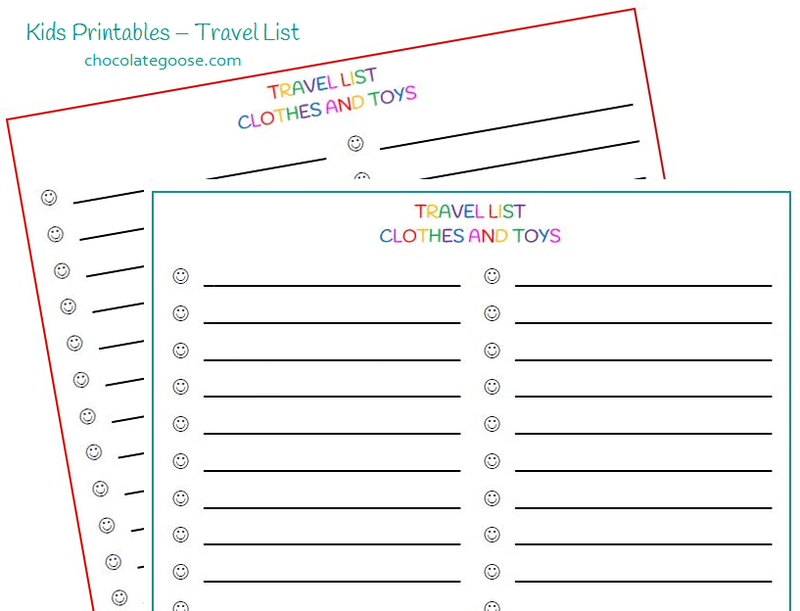 These are handy for sleepovers, family holidays, school or holiday camps, etc. One of my favourites. My brother and sister-in-law used to do something similar with their children when they were little and we now do it too. Becoming Money-Wise sadly isn’t taught as part of the school curriculum and many adults have grown up not learning how to work with money and fritter it away without actually knowing where it goes. We live in a debt-ridden society and I’m determined that I will teach my son the value of hard work and how it relates to money. Money is earned and should be respected. He’ll never be able to get away from that, no matter how much or little he may have. 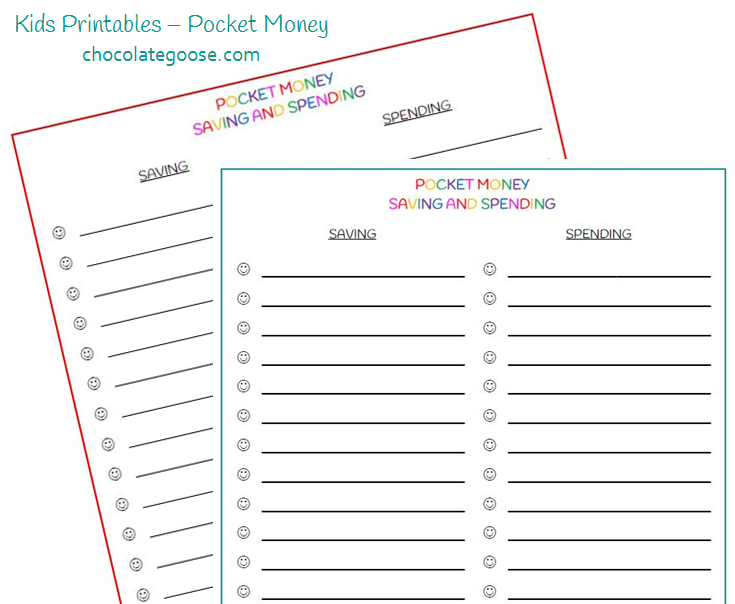 In our home pocket money is paid weekly and it isn’t tied to his age or directly to chores. He has responsibilities within the home, as do we all, and those need to be carried out without a $$ value being placed on them. Working for additional money is encouraged, but we believe that a small amount can still teach the lessons we’re trying to get across. And this is the secret: Half of his pocket money goes into his wallet for spending, while the other half goes into his money box. Wallet money and Money Box money are never mixed. When the amount in the Money Box reaches a certain value, we take it to the bank and he’s been able to watch his bank balance grow purely by his own saving efforts. He gets to spend the money in his wallet however he chooses, he’s even bought us all ice cream cones before and felt very proud of himself. We don’t expect him to do things like that, but if he comes up with the idea and truly wants to, we respect his wishes and he beams like a Cheshire Cat. I get that not every family can pay pocket money, but the same lesson can be learned with birthday money or special treats. It’s about teaching the lesson, not about the quantity of dollars involved. We fill in a line on the template each time he is given or earns money, with half going into each respective column. A new total is created and he watches the totals grow. If he spends it on anything, that figure is also listed and subtracted with a note about what he spent it on. This way he learns to keep track of his spending.